People have different types of fetish. It can be shoes, ballpens, what not. And those who know me really well know that I have a weird fetish for food storage. (You wouldn't have guessed, right?) 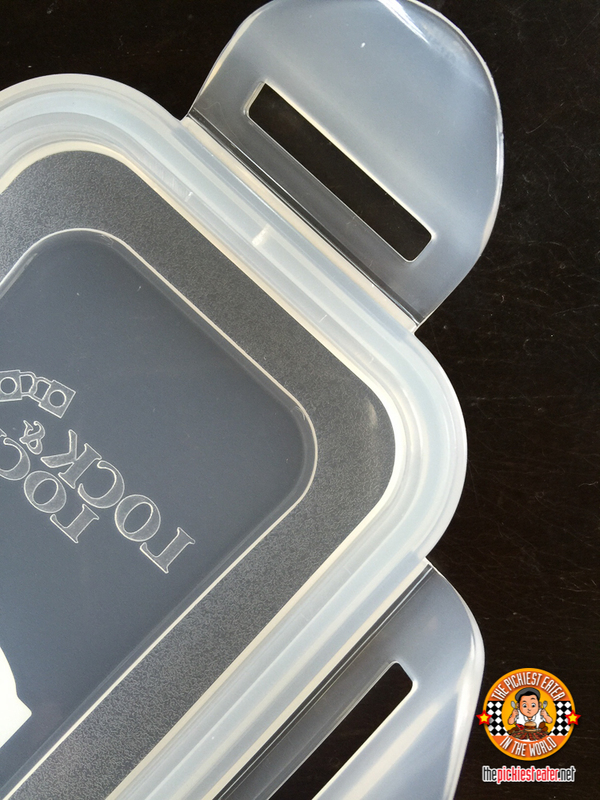 And when it comes to high quality food storage, one brand comes in mind: Lock&Lock! 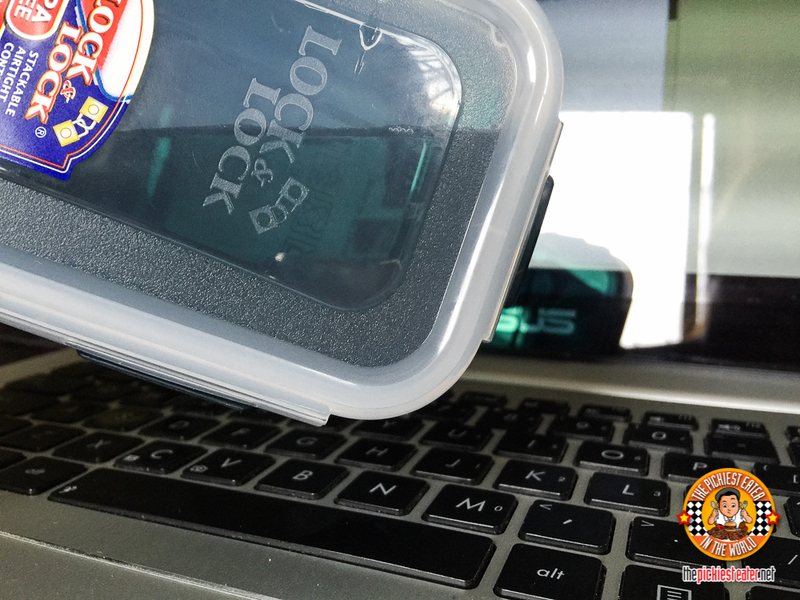 Yes, Lock&Lock is that food storage you most probably have seen in malls wherein they put water inside, lock it up, and show how it never leaks. And it's true! I could probably bring ramen with me and it wouldn't spill. Even with me, a natural "spiller". It's what makes Lock&Lock, Lock&Lock. It's those distinctive snap-down locking hinges and silicone seal that make them air tight and liquid tight. All Lock&Lock lids have been tested by opening and closing it like a million times to make sure it stays true to it's promise of an airtight seal. But aside from the kick-a$$ quality, it's fun to know that they don't just make food containers. They also have attractive designed lunch bags. I just love the size of it. Not bulky! 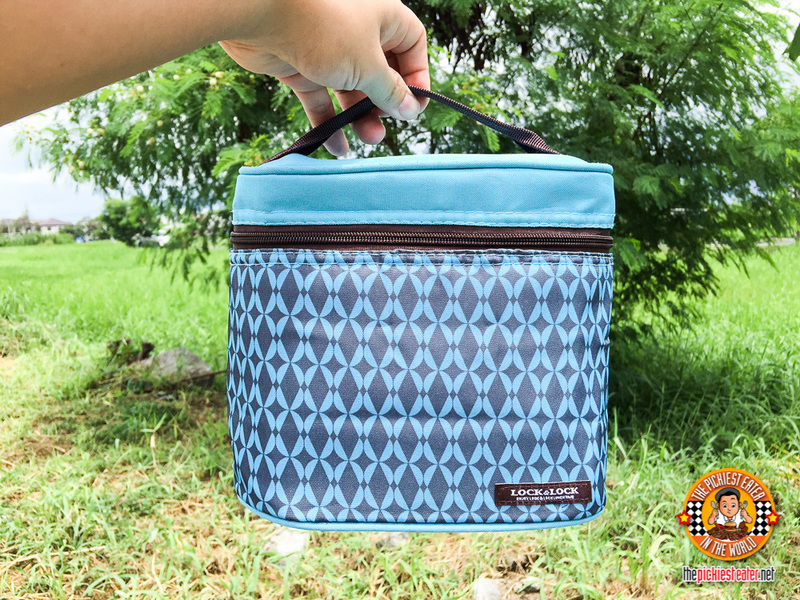 But don't underestimate this lunch bag because there's enough room for your food! They have different styles lunch bag models. 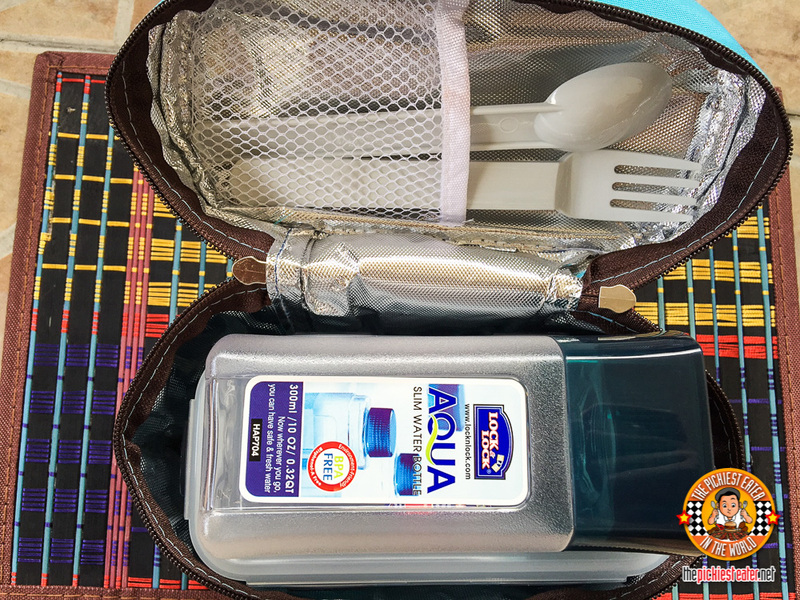 But this one that I have contains two Lock & Lock rectangular air-tight containers, a 300 ml slim water bottle, spoon and fork., all of which are BPA-free, not to mention very easy to clean! It is easy to clean and safe for use in freezer, microwave and dishwasher. It does not contain BPA (Bisphenol A) so you know it is safe. These lunch bags are insulated, to help keep the food's temperature longer. 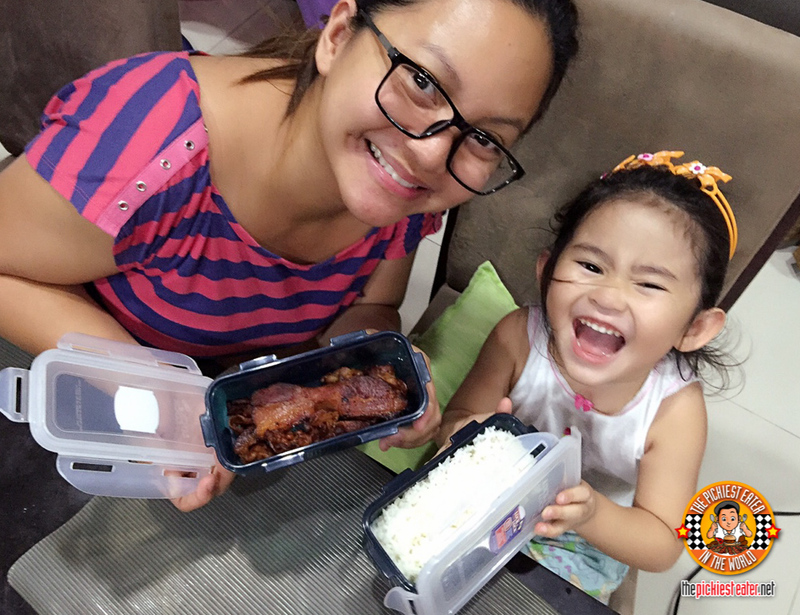 No body likes a cold baon, which is what we usually end up with when we use low-end containers. And look! This lunch bag already comes with sturdy plastic spoon and a pocket to hold them in place. I noticed that even the water bottle has double covers. The screw-on cap, and the snap on cover. 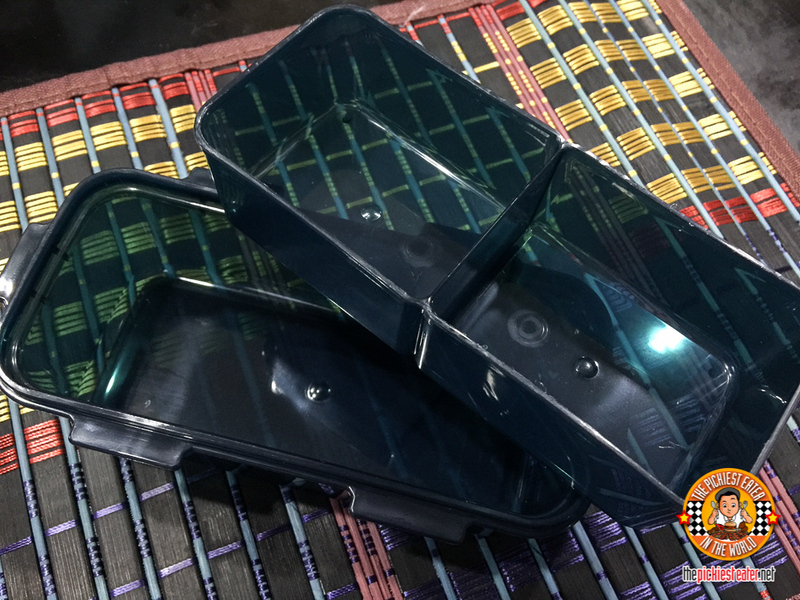 The other container has a removable divider inside. So you can take this out if you just plan to bring just one type of food. And you can use the other container for the rice. Lock&Lock is safe for use in microwaves, freezers, and dishwasher. While I will not most likely be packing a soupy lunch (I eat fried stuff exclusively. Hence the bacon that my wife is preparing for me in the picture), my wife Rina's mind will be at peace knowing that nothing ever could... ever would... escape the tight seal of Lock&Lock. Thus the probability of a messy lunchbox is not likely. Style and durability. Seriously. This is what all food containers want to be when they grow up! I trust nothing else to protect my bacon!!!!!!!!!!!! 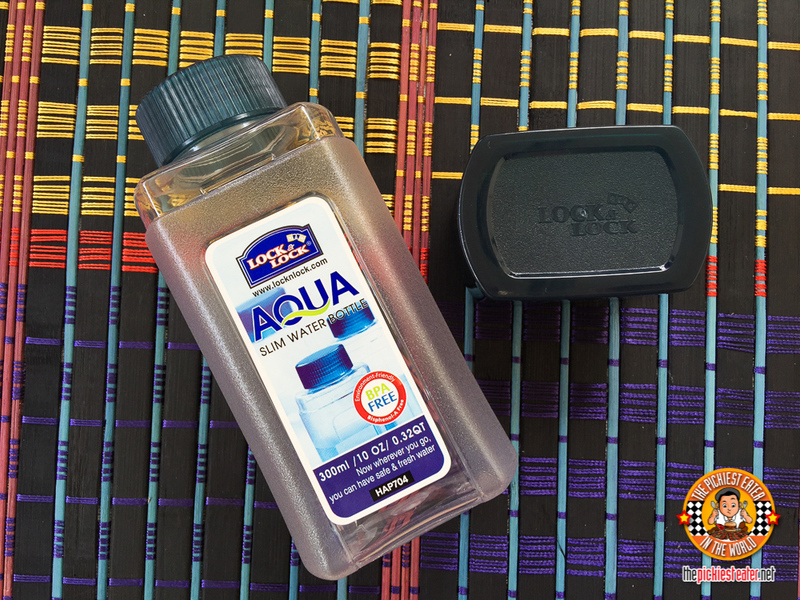 You can check out more Lock&Lock items from their flagship stores!